Preheat oven to 350F Place raisins in a small bowl. Pour juice over top. Microwave, covered, until hot, 1 minute Set aside. 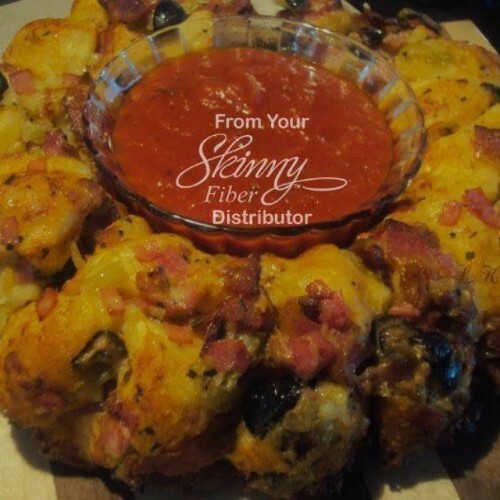 Lightly coat or spray a 12-cup muffin tin or 9×5 inch loaf pan with oil. In a large bowl, using a fork, stir flour with sugar, baking powder, cinnamon, allspice, salt and cloves. Stir in raisin mixture, candied peel and apricots. In a medium-size bowl, whisk egg. Whisk in milk, oil, butter and vanilla. Pour over flour mixture. Stir just until mixed. Batter will be lumpy. Divide between muffin cups or scrape into loaf pan and smooth top. Bake in center of preheated oven until a cake tester inserted into center of muffins or loaf comes out clean, 20 to 25 minute for muffins, 1 hour for loaf. Remove pan to a cooling rack. After 5 minutes, remove from pan and cool completely on rack. 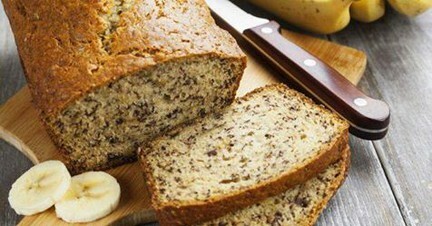 Store muffins or loaf in an airtight container and store at room temperature up to 3 days or freeze up to 2 months. Stir sifted icing sugar with orange juice until smooth. Drizzle over cooled muffins in a criss-cross pattern to mimic hot cross buns or spoon over loaf, if you wish. This entry was posted in Recipes and tagged bread, breakfast on April 7, 2019 by The Yellow Pine Times. Place raisins in a bowl with the Irish whiskey, and let sit for at least 1 hour, stirring occasionally. Grease a 10-inch cast iron skillet with butter, and then dust flour. In a large bowl, whip the 4 cups flour, sugar, baking soda and kosher salt. Using your fingers, work 4 tablespoons cubed butter into the dry ingredients until the mixture resembles coarse crumbs. In another bowl, mix together the buttermilk, egg and orange zest. Pour wet ingredients into the dry ingredients, and mix just until combined. Don’t over mix! Stir in the raisin whiskey mixture and fennel seeds. 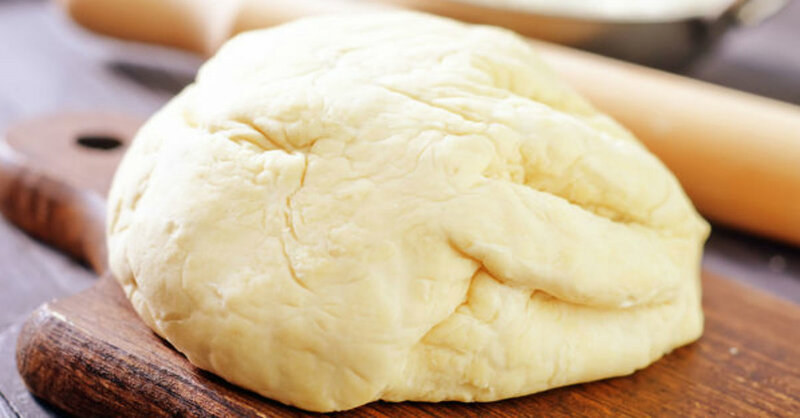 Lay dough out onto a floured work surface. The dough should be a little wet. Sprinkle dough with flour and knead a couple times to make a round loaf, adding more flour as needed if the dough sticks to the surface. Place the dough in the greased skillet, then score the top of the dough with a knife, about an inch deep in an “X” shape. Brush the top of the loaf with buttermilk egg mixture. Bake until the top of the bread is golden brown, about 45 minutes. Transfer the loaf to a cooling rack. Rest for 10-15 minutes before serving. 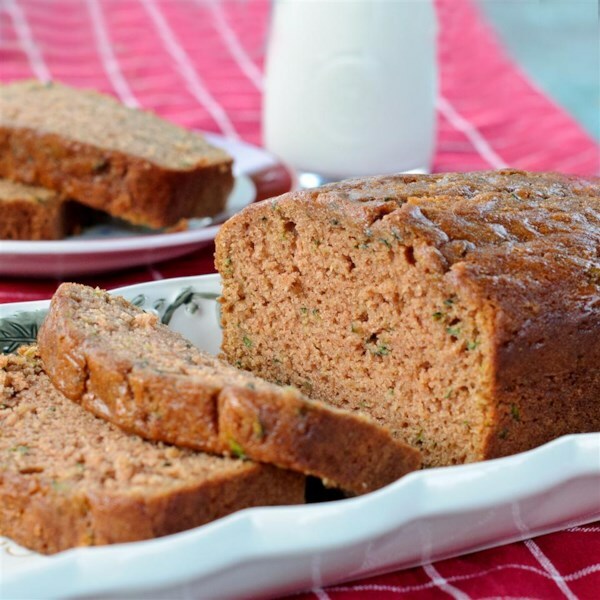 This entry was posted in Recipes and tagged bread on March 10, 2019 by The Yellow Pine Times. This entry was posted in Recipes and tagged bread on March 3, 2019 by The Yellow Pine Times. 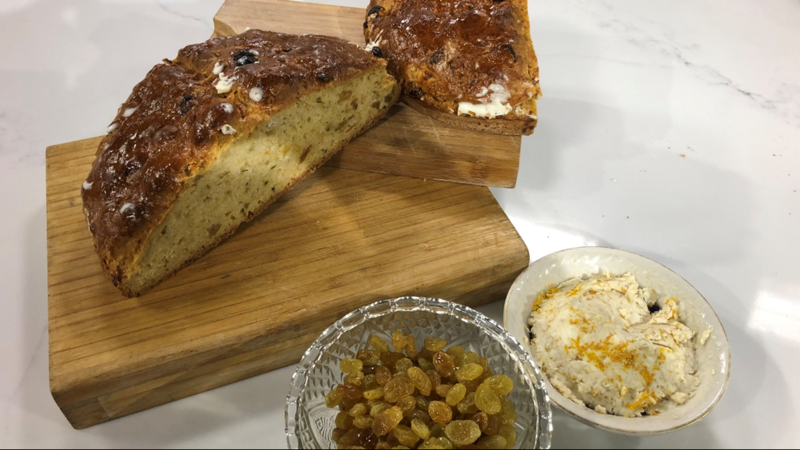 This entry was posted in Recipes and tagged bread, fruit on February 24, 2019 by The Yellow Pine Times. Cut off the top 1/4 of your head of garlic (not the root) and place in the center of a sheet of aluminum foil. Drizzle with olive oil and season generously with salt and pepper, then wrap foil tightly around garlic to create a little packet. Place foil packet directly in the oven and roast for 1 hour. Prepare 30-Minute Dough according to directions and set aside. Remove garlic from oven and let rest 5 minutes before taking it out of aluminum foil. Raise oven temperature to 450 F and sprinkle cornmeal evenly on a rimmed baking sheet. Roll out pizza dough to a large rectangle and transfer it to baking sheet. In a small bowl, squeeze out roasted garlic and mix in softened butter until incorporated. 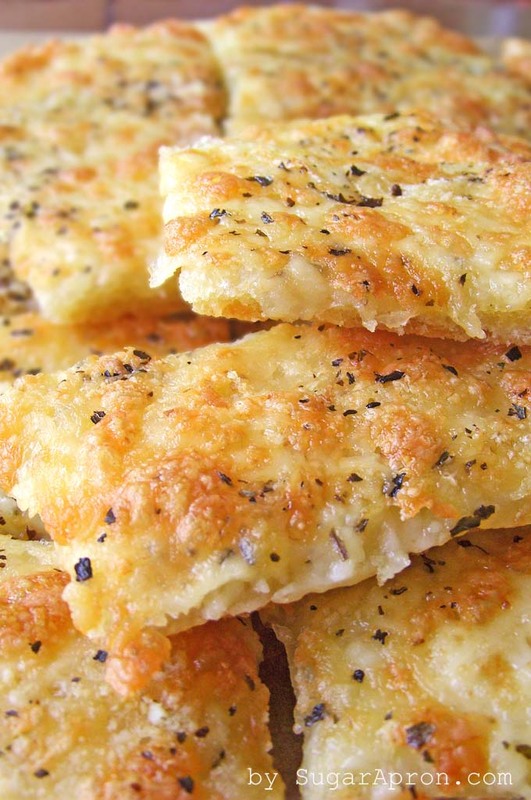 Spread garlic butter evenly out over pizza dough, then sprinkle mozzarella and cheddar cheese over the top. Place baking sheet in oven and bake for 15 minutes, or until cheese is bubbly. Remove from oven, cut into strips and serve hot, with marinara (or pizza sauce) and ranch dressing. 1. In a small bowl or glass, combine 1/2 cup warm water with yeast and sugar. Stir together and let rest 5-10 minutes, or until frothy. Note: if mixture is not bubbly, discard and start again. 2. Combine 2 cups flour with yeast mixture, remaining water, olive oil and salt, and mix together until a shaggy dough forms. 3. Gradually continue adding flour until dough is smooth, then let rest 10 minutes. 4. Use dough immediately, store in refrigerator for up to 3 days, or freeze for later use. This entry was posted in Recipes and tagged bread on February 10, 2019 by The Yellow Pine Times.